ZZ Top came to the Charlotte Motor Speedway on Sunday afternoon to get the fans ready for the annual Memorial Day weekend Coca-Cola 600 NASCAR race later that day. What goes together better than a high-octane ZZ Top performance and racing? The stage was nestled on the exit of pit road near the scoring tower. Fans with pit passes could get up-close and personal to the stage, while patrons in the stands could move closer to get a better look at the three bearded amigos (two with beards, one named Beard). Billy Gibbons, Dusty Hill and Frank Beard have been the sole original members of ZZ Top since its inception back in 1969. They only had a 45-minute set to whet the whistle of the race fans, and that’s exactly what they did. Gibbons was a rocking-blues machine on guitar and vocals. He owns his own style and knows how to rock it. Hill’s bass was turned up in the mix, so the fans all got an extra thump. Beard laid down a simplistic and dirty groove on drums all set long. During the ending portion of “Cheap Sunglasses,” Gibbons flipped his guitar around and scratched it on his pants while revealing it had a “BEER” bumper sticker on the back of it. The crowd went wild, since many of them were holding beers already. Next up was the new “I Gotsa Get Paid,” off of their most recent album, “La Futura.” They also paid tribute to Jimi Hendrix by covering “Foxy Lady.” The guitar and bass techs brought Gibbons and Hill their respective furry guitars, and everyone knew that “Legs” was up next. They closed their abbreviated set out with “La Grange” and the “Sloppy Drunk”/“Bar-B-Q” accompanying jam. They then left the stage and disappeared into the infield. The fans waited for an encore, but they never came back out. Usually, the massive hit “Tush” immediately comes after “La Grange,” but there wasn’t enough time for the fan favorite since they were on a tight time schedule. After ZZ Top finished, there were mock military exercises along the front stretch of Charlotte Motor Speedway. It included war re-enactments, flyovers and honoring our service men and women. It is a tradition at CMS to honor the military on Memorial Day weekend before the race. Charlotte Motor Speedway knows how to bridge mainstream entertainment and racing. At past races, they have focused on bringing in country acts. 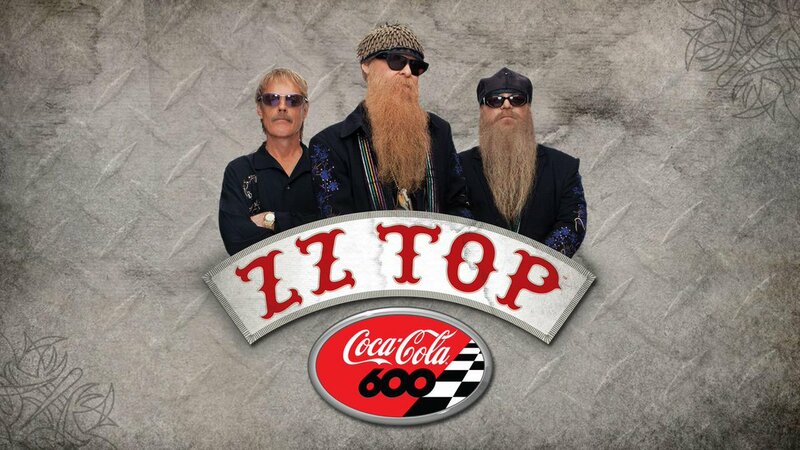 ZZ Top is a step forward with diversifying the pre-race concert series at CMS. Hopefully CMS will continue to bring in more top notch performers as pre-race entertainment.